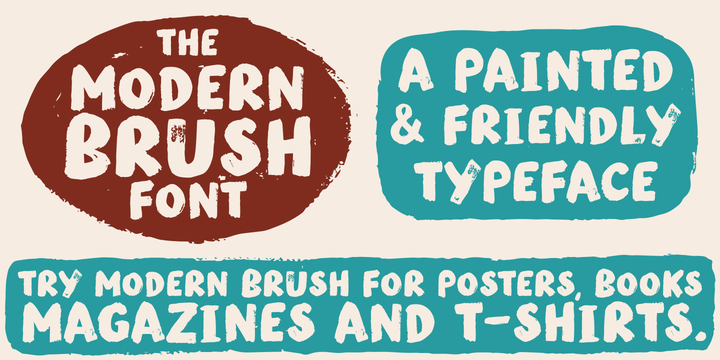 Modern Brush is a realistic hand painted brush type created an published by Street Type font foundry. No Modern Brush offers no bad surprises, you get what you see, plus some nice dingbats and alternates. So, brush it up! Price: 1 font for only $20. A font description published on Friday, March 21st, 2014 in Fonts, Street Type by Andrei that has 5,831 views.